Dr. Barry Shoop, the newly-arrived dean of the Albert Nerken School of Engineering, has been inducted as a member into the National Academy of Engineering (NAE) it was announced yesterday. 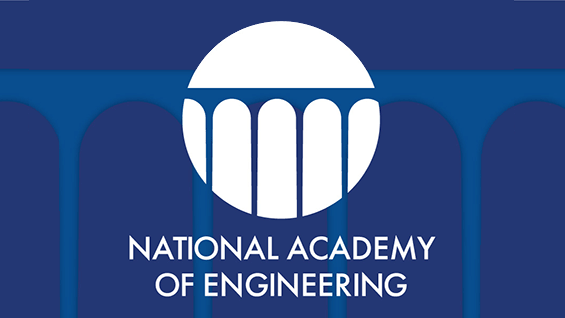 NAE members are peer-elected, "senior professionals in business, academia, and government who are among the world’s most accomplished engineers. They provide the leadership and expertise for numerous projects focused on the relationships between engineering, technology, and the quality of life," according to the NAE website. Dean Shoop, who was cited by the NAE for his, "...leadership in developing engineering systems solutions for national security and contributions to military engineering education." Dean Shoop is a Brigadier General (retired) who served a 38-year career in the U.S. Army. For the last 25 of those years, he served in a number of key leadership roles at the U.S. Military Academy at West Point including Director of the Photonics Research Center, Director of the Electrical Engineering Program and most recently as Professor and Head of the Department of Electrical Engineering and Computer Science." Dean Shoop will be formally inducted during a ceremony at the NAE's annual meeting in Washington, D.C., on Oct. 6, 2019.